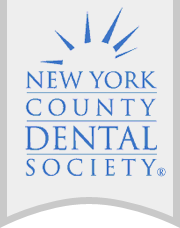 Dr. Gottesman is pleased to announce that he has been invited to offer a hands on course at the Henry Spenadel Continued Dental Education 2015 Winter Session at the New York County Dental Society. Dr. Gottesman will be speaking on Maintaining Ridge Contour after Extraction: The Key to Optimal Esthetics, and participating in a Q & A forum afterwards. Dr. Gottesman will be speaking and participating in the forum Friday, February 27th, 2015 from 9:30 am to 4:30 pm. For more information click on the link below. This entry was posted in All, Events, Media/Press. Bookmark the permalink.